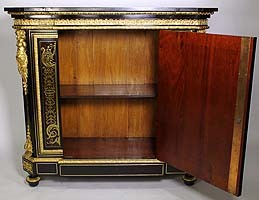 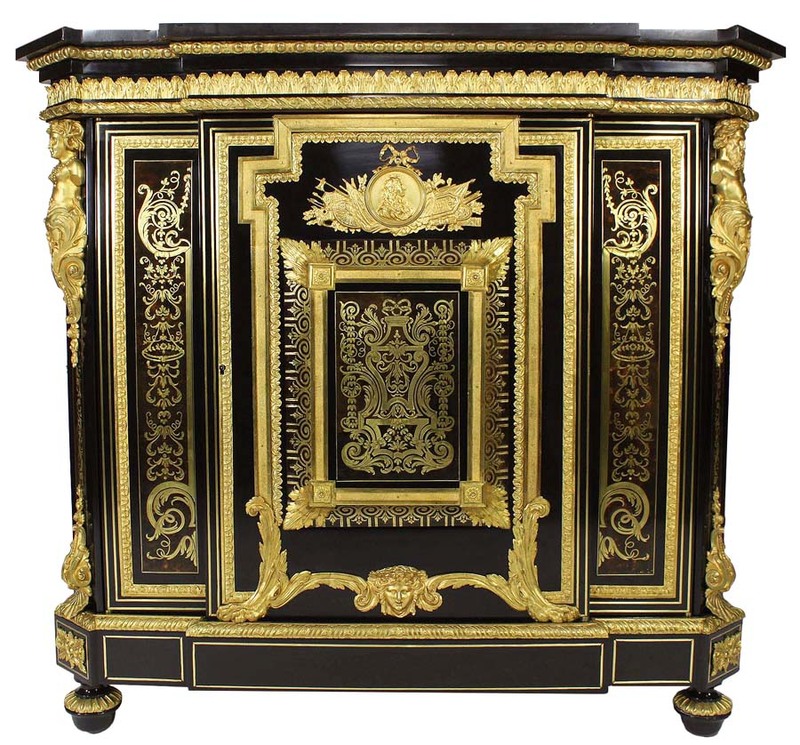 A Fine French Napoleon III Ebonized, Gilt-Bronze Mounted and Tortoiseshell Meuble à Hauteur d'Appui in the Manner of André Charles Boulle (French, 1642-1732) with a Fitted Black Marble Top, by Mathieu Befort, dit Befort Jeune. 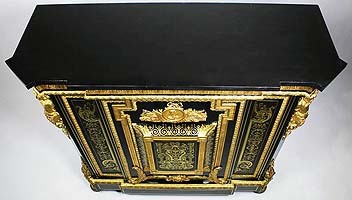 The ormolu stamped "BEFORT". 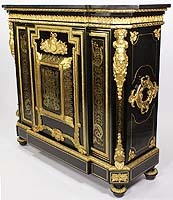 Circa: Paris, 1870-80. 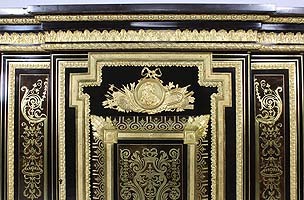 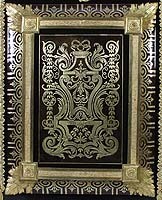 The firm of Befort specialized in 'furniture in the style of Boulle and in the use of bronze and hardstone' (D. Ledoux-Lebard, Le mobilier français du XIXe siècle, Paris, 1965, p. 29) and received a medal at the 1844 Exposition des produits de l'industrie français. 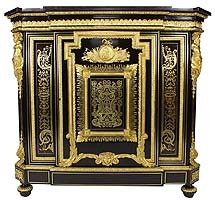 Befort Jeune was recorded at Neuves-Saint-Gilles from 1844 until 1880.